A lot of people are put off learning to read and write Chinese because the character based system can seem overwhelming. The idea of learning thousands and thousands of characters is a daunting prospect. I could lie and say learning to read and write Chinese is easy, but I doubt I could convince anyone. I do, however, hope to convince the readers of this short guide that becoming literate in Chinese is far easier than most people believe. Firstly, you don’t have to learn an infinite amount of characters. The Chinese language is well suited to a character based system because in Chinese any word more than one syllable long is actually a combination of two or more one syllable words. Also, Chinese has very consistent patterns that build up vocabulary. For example, the word for telephone is “electric speak”, so if you know the characters electricity and speak, you don’t need to learn the characters for telephone. Similarly, the word for video game is “electric play”, television is “electric view”, movie is “electric shadow”, email is “electric letter”, computer is “electric brain” – the list could go on and on. The fact is every time you learn to write one character you will have learnt to write not one, but several new words. It is estimated that the top 1000 characters constitute 80% of written Chinese, with one character alone (的) accounting for 2% of all characters written. Learning 1000 characters in order to understand 80% of everything written might still seem like a huge challenge. There is a good reason why it seems like a huge challenge, and that is because it is in fact a huge challenge. But the challenge seems slightly less huge when we realise characters are not “letters” but words. 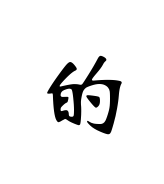 Just as English words are written using the building blocks that are letters, Chinese characters are written using building blocks called “radicals”. Each character is a combination of several radicals, much in the same way an English word is built up using letters. The big difference is that the Latin alphabet represents sounds, whereas Chinese characters represent both sounds and semantic meanings. Typically the right hand side of a Character is a rough indication of pronunciation, and the left hand side indicates the semantic meaning. This might make Chinese more difficult to write than English, as you can’t guess the spelling of a word, but arguably makes it much easier to read, because you can look at the character and guess the meaning on the basis of the radicals. The Chinese writing system contains about 200 radicals. This is roughly 8 times the number of letters in the English language, but still a lot less than the thousands of characters you thought you had to learn. Once you are familiar with these radicals, learning to write a new character is not much more difficult than learning the correct spelling of a word in English. 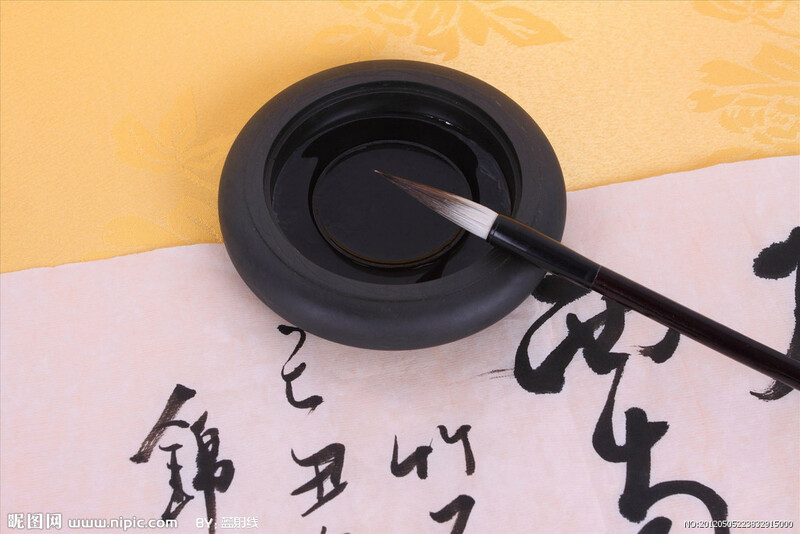 When writing Chinese characters there is a correct “stroke order”, that is the order in which you draw each line. Learning a correct stroke order may seem unnecessary at first, as the characters look the same no matter which order you draw the individual lines. However, this logic doesn’t apply to handwriting. English handwriting looks very different to writing typed on a computer and the same applies for Chinese. If you write with the incorrect stroke order then you will find your handwriting becomes incomprehensible when you attempt to write characters quickly. Learning the correct stroke order is not difficult; all serious textbooks contain explanations and exercises for learning the correct stroke order and after learning a few characters you will find you are able to guess the correct stroke order for new characters just by looking at them. Generally speaking you draw the lines from left to right and top to bottom, starting in the top left corner. Buy a textbook (not a phrasebook! ), download a smartphone app, or try an internet search for one of the many useful websites available. At the very beginning the greatest difficulty is remembering characters. I found the first three to four hundred the most difficult to memorise. It quickly gets easier as you learn more but it is a serious challenge at first. The simplest method for memorisation is to write the characters repeatedly. Taking a notebook and writing the same character over and over again until it fills a whole page might seem boring, but it is effective. This sort of rote learning is how Chinese school children learn. I remember once telling a friend that I’d learn each character by simply writing it over and over again dozens, perhaps even hundreds, of times. He seemed to think it was a joke and when he laughed about it to a Chinese friend in the bar with us he was met with a straight faced response: “yes, that’s how you learn Chinese characters.” Joke over. 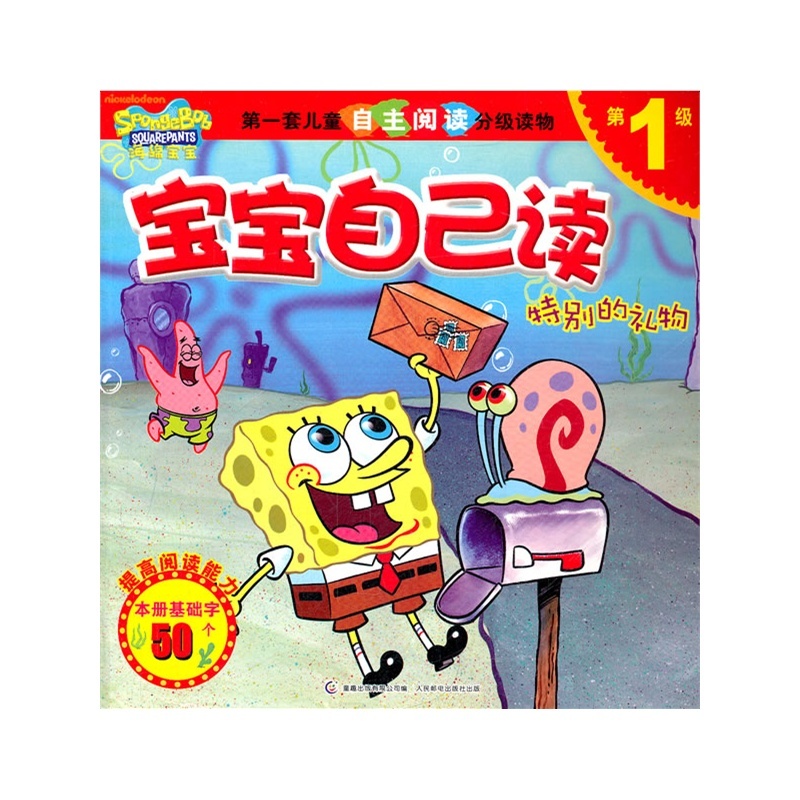 You can spend lots of time researching how to learn Chinese characters. Different memorisation patterns, different language learning software or smartphone apps and expensive sets of flashcards. Or you can just get out a pen and a piece of paper and write the character out. If it takes three seconds to write a character then you should be able to write that character 100 times in five minutes. 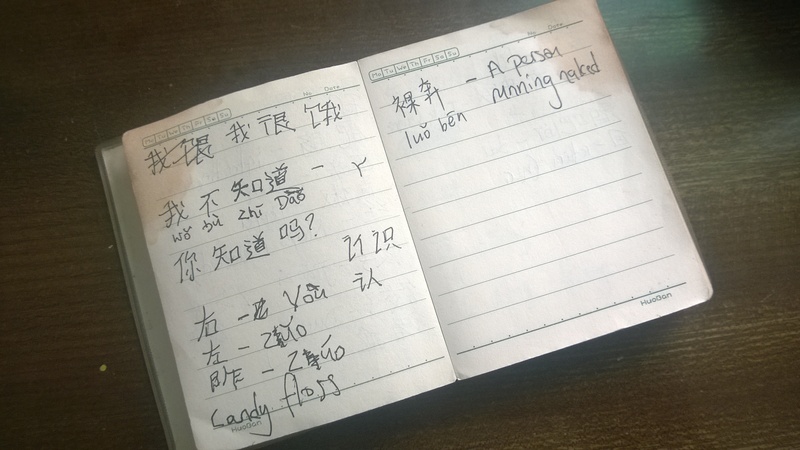 If you spend five minutes on the bus, on the train, or on the toilet, perhaps take a notebook with you and learn some characters instead of playing Temple Run. After you have written the same character out a hundred times I dare you to try forget it. After you have learned a few characters keep on the lookout for them. If you’re in China then restaurant menus, shop names, and adverts at bus stops are all good sources. Don’t get frustrated if you’re not able to understand what is written, just try to consciously pick out and take note of the characters you recognise in your surroundings. It all helps with the memorisation process. If you’re in China it is a good idea to visit a bookshop and look at the Children’s section. There will be lots of books with 50, 100 or 200 written on them in large font. This number indicates the number of Characters needed to read that book. I would start by reading baby books, then children’s stories, and work your way up. Sometimes your chosen reading material, whether it’s a magazine article, newspaper article, or takeaway menu, will have too many specific vocabulary items that you don’t know. Or sometimes it will simply be boring to read. Obviously you need to work hard, and there have been many occasions when I’ve read the same paragraph multiple times. But there are other times when it is okay to accept that what you’re reading is a bit too difficult. Don’t get frustrated. Turn the page and read the next article. There is no point forcing yourself to read something that you’re not enjoying reading or not understanding at all. Once you get to intermediate level there are lots of useful textbooks available to help you with your reading skills. The important thing is to remember that reading is a separate skill and is not the same as knowing lots of vocabulary and lots of grammar. There are certain strategies you can use, tactics for reading that will help you better piece together what a sentence says even when you only understand half the words. The most important thing to do is not look up every word you don’t know. Systematically looking up the English translation of every single new word you encounter will simply be a waste a lot of time and most likely hinder your reading ability. If you only understand 70% of what is written then you need to concentrate on the 70% you do know. If you spend all your time looking up words then what you’re doing is training yourself to concentrate on what you don’t understand, which is the exact opposite of what you should be doing. The same skill applies to listening.